Hello and welcome to my blog; today I am going to share the card that I made during my Facebook Live on Wednesday night. 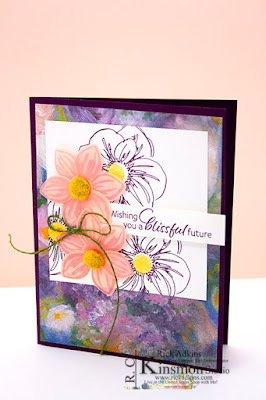 I shared that night how to create a beautifully blended background; using the soon to be out going In Colors. Along with the 2017-2019 In Colors I used the Lasting Lily Saleabration Stamp Set and the Lily Framelits that can be purchased as part of the Saleabration Celebration Products. I actually used all of the 2017-2019 In Colors for my card that night. Here's a look at my card. I started out by stamping everything with my Stamparatus first. Once I had everything stamped I then ran it through the Big Shot with the Lily Framelits; which is part of the Saleabration Coordination products that can be purchased to help you get to the second level of Saleabration Rewards to earn the Lasting Lily Stamp Set. I then used my Make up brushes (which sounds totally strange to say) to do ink blending on the background piece. My colors for the first card was Pineapple Punch, Poppy Parade and Rich Razzleberry. 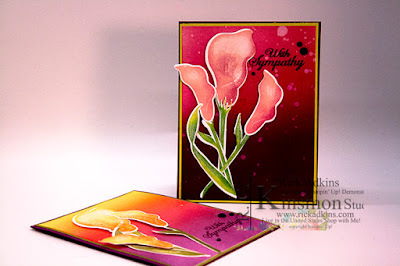 The ink colors that I used for the ink blending and lilies on the card that I did during the Facebook Live are as followed. Powder Pink, Berry Burst, and Fresh Fig. The leaves and stems were stamped with Lemon Lime Twist and Tranquil Tide. I used a sponge dauber to add the darker color to the lighter to give a shadow and a two tone effect to them. 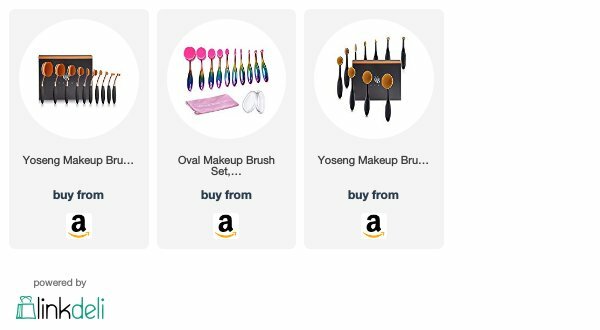 The makeup brushes that I have started using for ink blending have been linked below in the shopping list. Sadly the 2017-2019 In colors will be leaving us when the new catalog comes out in June. So we will be saying good bye to some of my favorite colors ever. Is that's right Lemon Lime Twist, Powder Pink, Berry Burst, Tranquil Tide, and Fresh Fig will be retiring come June. But, I am going to go ahead and tell you that as soon as the retiring list is announced in a month or so they will sell out very fast. It has always happened with the colors that everyone loves. So if you have these colors and want to keep using them I suggest you order them and the ink refills now. Some of them are already on back order but will be back in stock soon. It's better to go ahead and order them now and that way you have them for future products. I am about to place a order for my own ink refills for these colors because I love them so. But the good news is I am sure we will have five new colors for the next two years that are as equally pretty and fun to play with. Thanks for dropping bye I hope that you have enjoyed my two versions of the card that I created for this weeks Facebook Live. 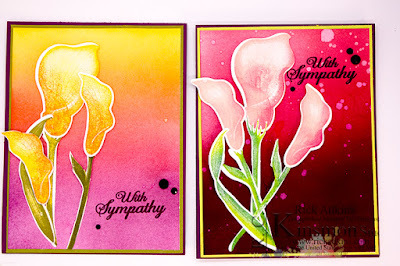 You can find all the supplies I used to create both versions of this card below in both the Stampin' Up! Shopping list and the Additional Supply Shopping List. Please considering using my host code this month on your orders below $150. 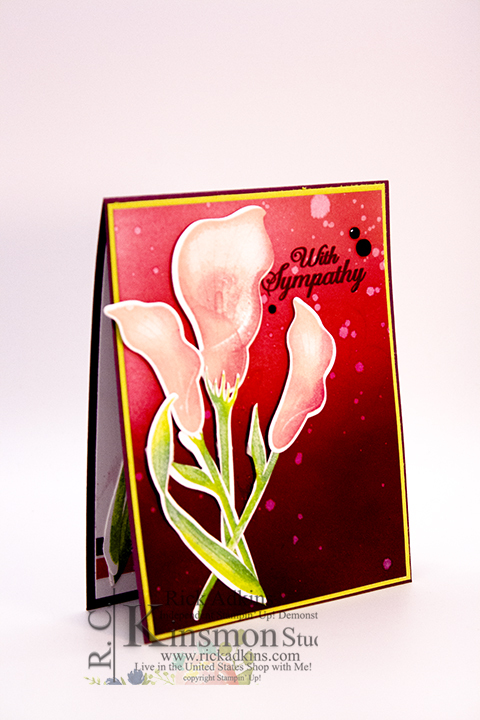 When you use the host code I will send you a couple card tutorials and a hand stamped card as a thank you. 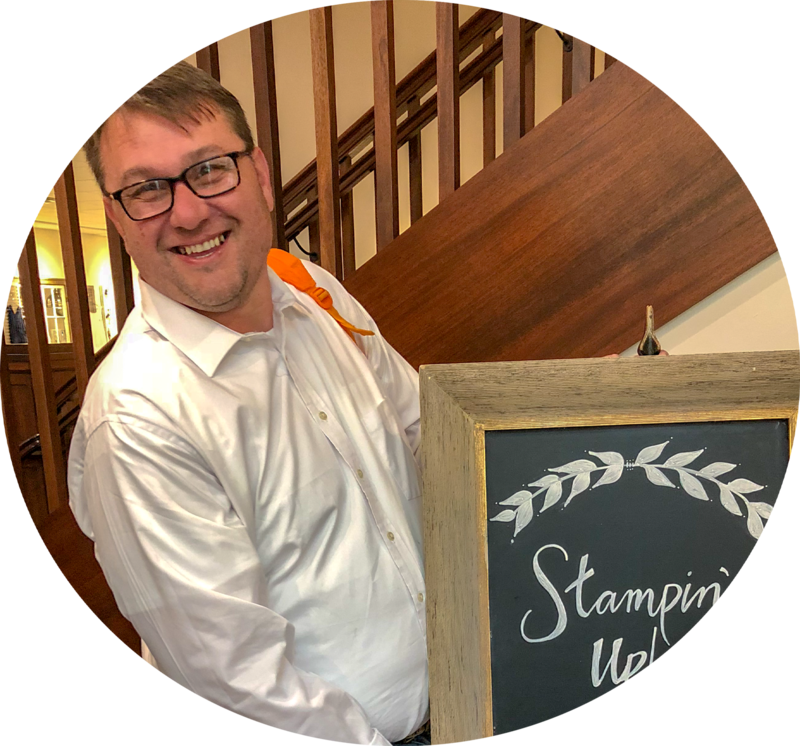 For orders over $150 please don't use the host code because you will forfeit your Stampin' Rewards.